After the Minister General of the Order of Friars Minor (the Franciscans), José Rodriguez Carballo, OFM, was named secretary of the Congregation for Religious, a new Minister General -- the leader of the tens of thousands Franciscan friars worldwide and the successor to St. Francis of Assisi -- needed to be elected to fill out the rest of Carballo's six-year term. A special election took place yesterday consisting of electors that included the presidents and vice presidents of the respective language and geographic conferences of the Order, the Custos (provincial) of the Holy Land, and the General Council of the Order. In total, thirty-four friars gathered in Rome according to the General Constitutions (art. 201.1) of the Order and elected Michael A. Perry, OFM, an American, to succeed Carballo as the Minister General and the 120th successor of St. Francis. According to a press release this morning from the secretary for the English Speaking Conference of the Order out of Rome, "Br. 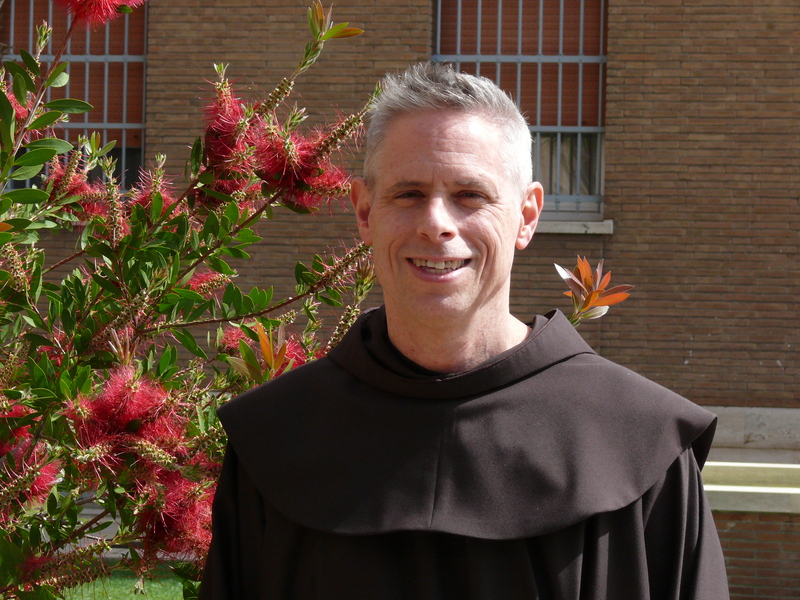 Michael becomes the third American to serve as Vicar of St. Francis. Former General Minister John Vaughn, OFM, of the St. Barbara Province held that post for two terms from 1979-1991; and Valentine Schaff, OFM, of the St. John the Baptist Province was General Minister who served 1945-46." The release goes on to list some more biographical details about the American friar elected to the highest office in the Order. Born in Indianapolis, Indiana in 1954, Br. Michael entered the Novitiate of the Province of the Sacred Heart of Jesus in 1977. He served his Province in Theological Formation, Post-Novitiate Formation, International JPIC work and for 10 years he worked in the Missions in the Democratic Republic of Congo. He served also with the Catholic Relief Services and in the US Conference of Catholic Bishops before being elected Provincial Minister of his Province in 2008 [Sacred Heart Province of St. Louis and Chicago] and then a year later, Vicar General of the Order. His academic curriculum includes a Ph.D. in Religious Anthropology, M.A. in Theology, M.Div (in Priestly Formation) and a B.A. in History and Philosophy. He made his Solemn Profession of Vows in 1981 and was Ordained to the Priesthood in 1984. Having served the last several years as Vicar General of the Order, he is well situated to take over after the sede vacante. I have lived with Mike in the past when we both were in Washington, DC, in neighboring Franciscan communities. He was working for Catholic Relief Services and the USCCB at the time when I was in graduate theological studies. A very down-to-earth, approachable, and nice person, Mike has spent most of his life dealing with international social-justice concerns. He earned a PhD in anthropology overseas and has worked in fields and organizations that focus on world poverty, violence, and other pressing matters of justice and peace. I can't help but think that Mike is the perfect person to step into this worldwide leadership and service role at a time when Pope Francis is himself calling the whole church to focus precisely on these central Christian and human issues.